When you decide where you want to begin your Camino de Santiago, whether it be St Jean Pied de Port or Sarria, the next step is finding out how you get there. This piece will give you information on how to do such a thing. Bear in mind that all information I give is as of September 2015. For people living in the US, Canada or Australia, the costs for flights can be expensive, up to $1000 at peak times. As we in Ireland, live that bit nearer, there are alot more options and as a result, the price for a flight can be low if you book it in advance. 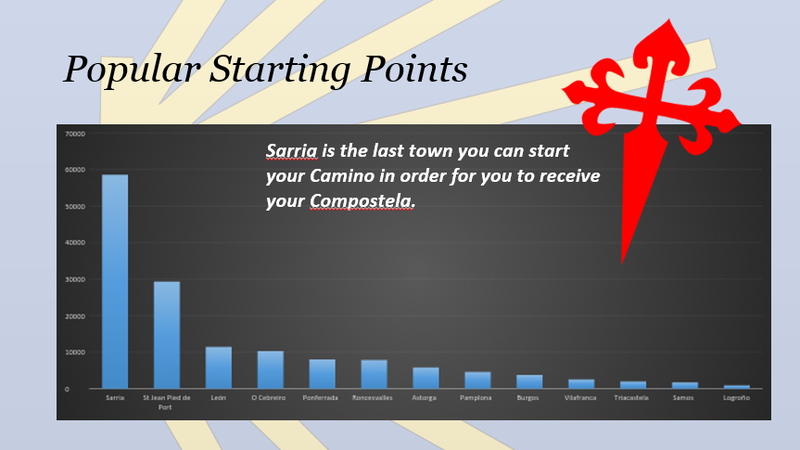 I tend to book my flights around Christmas time if I am walking a May Camino. Prices tend to increase after that. If you are travelling from Ireland, both Aer Lingus and Ryanair travel to a number of airports in Spain and France. Aer Lingus travel to Santiago, Bilbao and Madrid while Ryanair serve Biarritz, Madrid, and Santiago. They also serve Santander during the summer months. Should you wish to start your Camino from St Jean Pied de Port, the easiest option is to fly into Biarritz with Ryanair. From Biarritz, you must catch a shuttle bus or a taxi from the airport to Bayonne Gare, then get the train to St Jean Pied de Port. There are usually four trains a day taking about 1h20m. The cost for a one-way ticket is about 10€. The shuttle bus leaves the airport regularly. The French Train company TER SCNF provides the rail service to St Jean Pied de Port. It is probably best to leave booking your train tickets until you reach Bayonne in case of delays. Should your Camino start in Pamplona or Logrono, the best option is to fly into Bilbao with Aer Lingus, From Bilbao Airport, you can catch the incredibly handy Bizkaibus feeder bus to the city’s Termibus. From there, there are many buses travelling to all parts of Spain, Pamplona and Logrono being two. La Union Burundesa travel from Bilbao to both cities in under three hours and I have had no problems with the service. You can also fly into Madrid with Ryanair and catch a train to either city with Spain’s national train service, Renfe. So if you are looking to get there quicker, and enjoy the sights as they zoom by, this may be a better option. Prices for buses tend to be cheaper than trains however. If you wish to start a little closer to Santiago in either Burgos, Leon or Ponferrada, probably the best bet is flying into Madrid with Ryanair. From Madrid’s Chamartin train station, there are regular trains to all cities. You can also get frequest buses at Madrid;s Avenida de America bus station. ALSA is the national bus company of Spain. 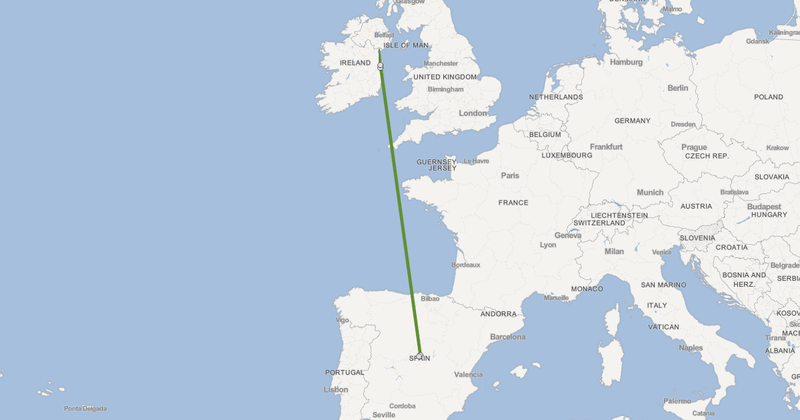 And finally for those wishing to start in Sarria, Aer Lingus fly into Santiago airport. From the bus station in the city, Monbus brings passengers to Lugo and from Lugo, you must get a connecting bus to Sarria. As Sarria is the most popular starting point, I find it strange that there is no direct bus there but nevertheless. Autobuses Jiminez connects Logroño to Burgos. ALSA connects Burgos to Santiago via Lugo departing from the camino at Pedrafita do Cebreiro. Pedrafita do Cebreiro is serviced by a daily bus to Sarria via Triacastela. Monbus connects Sarria to Santiago via Monforte de Lemos and connects to Empresa Freire in Lugo. Empresa Portomarin provides service from Portomarin to Sarria and Lugo. Empresa Freire connects Lugo to Santiago via Santiago airport, and provides service to villages along the camino from Palas de Rei to Santiago. I hope this information proves useful to you, but please feel free to comment if you have any questions. New name!! – Clearskies Camino!! We took a No 14 bus to the station from Biarritz to Bayonne station and couldn’t believe we only paid 1€ for it! Such good value! Shuttle buses from airports ate very cheap in Spain plus they are very regular. It is the same in Bilbao and Madrid. Hi David. Do you know if the train from Bayonne to St Jean is fully restored yet? When we went in September 2014 the train only went part way to St Jean then we had to transfer to a coach for the last section to St Jean railway station. Yes it has restored now. I took the bus from Bayonne and arrived before the train arrived so both modes of transport were in use at that time. I think it was just a phase.